Helping teachers establish the next steps along each child’s learning journey. 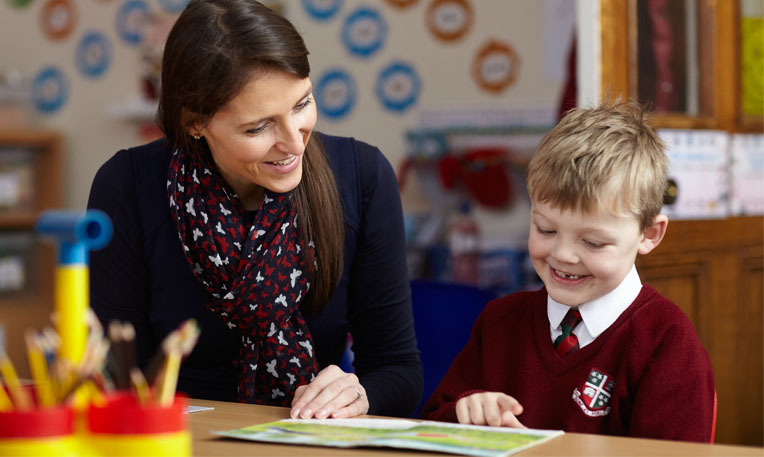 The majority of assessments at Brontë House are on-going, informal assessments, designed to help teachers establish the next steps to each child’s learning journey. This happens within the normal timetable and includes oral and written questions, evaluation of the children’s work and subject tests. In the Early Years Foundation stage, the children are assessed against the Early Learning Goals through informal observations and discussion and evaluation of their activities. This information is regularly recorded in each child’s profile which is emailed to parents on a weekly basis. We carry out more formal assessments at the beginning and end of the Reception year using standardised tests. The children in Key Stages 1 and 2 take more formal tests during the year. These give standardised scores and are used, alongside other data, to track children’s progress and highlight strengths and weaknesses. Each pupil’s performance in these tests is reported at Parents’ Evenings in the Spring Term and in the Annual Report at the end of the academic year. Year 6 pupils complete the Entrance Tests for Woodhouse Grove during the Spring Term at a different time from the external candidates. The results of these tests are used to inform setting arrangements at The Grove and assist the decisions regarding the awarding of academic scholarships. Music scholarships at the senior school may also be awarded to musicians following auditions with the Director of Performing Arts at Woodhouse Grove.